Ryan Terrien liked digging his hands into a mound of compost and knowing how hot it should feel. He liked setting ladybugs free in the greenhouse and watching them devour aphids that plagued row upon row ofseedlings. Most of all, he liked pulling a carrot up from its bushy green head, hosing the biologically-rich soil from its glowing skin and snapping it between his teeth. All of that, the 30-year-old farmer says, explains why he was so excited to work at Maharishi Vedic City Organic Farm near Fairfield, Iowa. But, as Terrien’s fascination with organic production grew, so did his disillusionment with the USDA regulatory effort to ensure that farmers claiming to farm organically adhere to certification standards. About this Project: This is the second of a three-part IowaWatch series that examines the promise, the problems and the future of organic farming and what it means to consumers who ascribe great value to the organic label on the food they buy. Part I: Covered the birth of the organic industry in the U.S., its allure to food corporations, and the growing fear among organic purists that standards are being undermined. Part II: Investigates the reliability of government efforts to assure consumers that they get what they pay for. He witnessed two inspections while at the farm. They were less than thorough, he said. The last inspector stayed 20 minutes, walked around, asked if they sprayed and handed them the bill. The National Organic Program, a USDA operation, does not enforce a law requiring certifying agencies to test for pesticides in soil— therefore testing is rarely practiced. A March 2010 federal report said the program had failed to write regulations to enforce that provision, a problem cited in a previous report. Certifying agencies can be as strict or as lax as they wish on farmers who break rules, because the program fails to require uniformity in determining the seriousness of violations and what action should be taken. Driving by the fields of corn that dominate Iowa’s landscape, few would know that many of these large plots are certified organic. 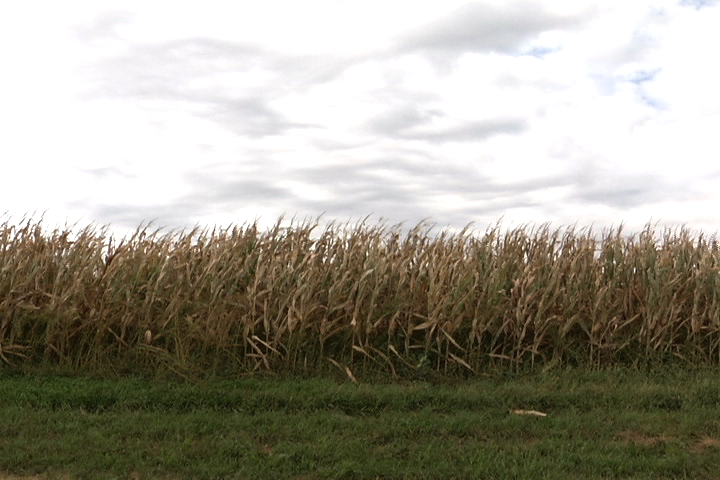 Over 80 percent of the land in organic production in Iowa is dedicated to row crops such as corn. The popularity of organic farm products in the U.S. and Iowa is soaring. By 2008, the number of farms certified by the National Organic Program jumped by 36 percent nationwide and by almost 50 percent in Iowa to 677 organic operations, according to the USDA’s Economic Research Service. Only four other states – California, Wisconsin, New York and Washington State – had more. Almost 89,000 acres of cropland were farmed as organic, ranking Iowa 12 nationwide. Among purists in the organic farming community, big has never meant better. Especially when big is in the form of major food corporations that they believe are co-opting the popularity of locally produced food grown naturally. But ever since the federal government kick started the organic industry with the Organic Foods Production Act of 1990, the increasing number of people willing to pay premium prices for organic food was bound to attract any corporation searching for the next trendy and lucrative market. And it did. Read more. Does Profit Sway Organic Inspectors? The prized USDA organic seal is all a farmer needs to sell as organic and to reap the higher prices consumers will pay. And farmers pick the agency that can give those seals. At the farm where Terrien worked, neither inspector from the previous two years tested the soil or produce for pesticide residues. Moreover, certifying agents have never visited unannounced or tested his produce for pesticides, according to Dean Goodale, the manager of the farm. 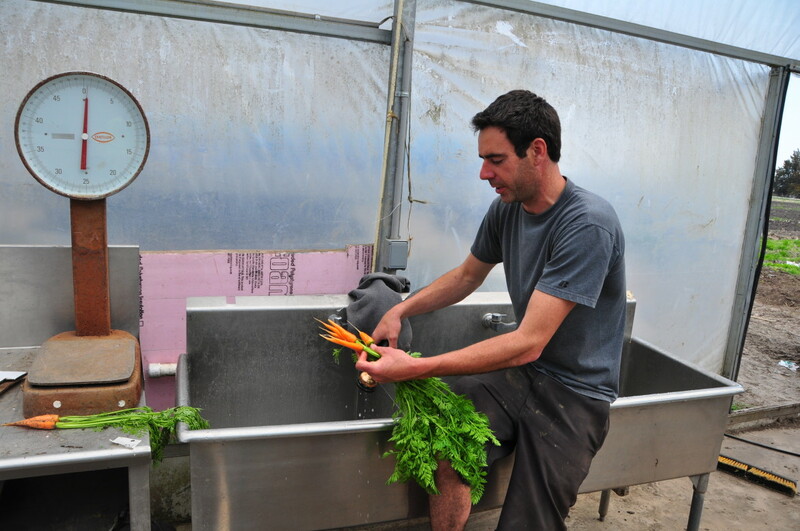 Shortly after Terrien began work there in 2009, he was promoted to manage delivery and sales for the farm’s Community Supported Agriculture operation, supplying locals with a weekly box of vegetables during growing season. His love for organic food was infectious, and membership in the program sprang from 60 to 300. Terrien no longer works at the farm, but, with plans to pursue an agricultural career, he wants a better system. “To become certified organic – it doesn’t take much,” he said, likening the certification fee to an annual membership fee. The requirements say organic farmers must use approved farm inputs for soil fertility, pest and weed management; rotate crops; provide buffers with neighbors using chemicals; prevent contact with prohibited substances; and keep records showing the land has been chemical free for at least three years. The program fails to effectively punish violators of organic standards and to process complaints promptly, although the program relies on complaints to try catching wrongdoers, the audit said. The audit also said the program still hasn’t complied with federal requirements to form a panel to ensure that inspection agencies are properly qualified to enforce organic certification standards. The program has accredited almost 100 certification agencies to enforce its standards. However, since 2005, the program has revoked the accreditation of only four agencies – one each in 2006 and 2007 and two this year, including, Certified Organic, Inc., in Keosauqua, Iowa. Oversight of foreign certification agencies also has been lacking. Five of the 44 foreign agencies have operated for up to seven years without formal accreditation and a visit from an organic program staff member. These five agencies certify approximately 1,500 organic operations. Since the 2010 audit, the program has been working on corrections, said Soo Kim, spokeswoman for the USDA’s Agriculture Marketing Service. For example, an August 2010 correction plan said it is developing rules for pesticide residue testing, which certifying agents will pay for. The program also has published a handbook on interpreting standards. Whether the response will restore public confidence remains to be seen. Five years ago, the inspector general’s office found many of the same problems that it cited in its March 2010 audit. Moreover, structural problems remain. For example, when the organic program was launched, it allowed certification agencies to continue as for-profit, non-profit or state-run programs, as long as they applied for accreditation. Slightly less than 100 certifying agencies are responsible for overseeing about 28,000 organic operations. They do not have uniform paperwork or price models for their clients, according to organic inspectors and producers in Iowa. Often the price is based on a farmer’s gross sales. Will Fantle, co-founder of Cornucopia Institute, a Wisconsin watchdog group that supports organic agriculture, said the current administration is committed to organic ethics. “But they’ve got a bit of a mess to clean up,” he said. That federal officials and farmers don’t see eye-to-eye on farming regulations probably is not surprising. But, the heart of the organic program’s enforcement effort – record keeping – has become the bane of organic farmers’ existence. While federal officials see recordkeeping by farmers as critical to keeping tabs on farming practices, farmers dismiss it as useless “paperwork” that does little to prove compliance with standards. Tracy Miedema, member of the Standards Board, disagrees, saying paperwork is essential to certifying that farmers stick to organic standards. Miedema is product innovation director for the nation’s largest organic produce company, Earthbound Farm. This dependency on records rewards farmers who are paperwork savvy. In 2010, certifying agencies denied roughly 250 organic operations renewal of certification. While this may suggest rigorous auditing on the part of certifiers, about 90 percent of these organic operations were suspended or revoked because farmers were unable to complete paperwork or pay their fees. 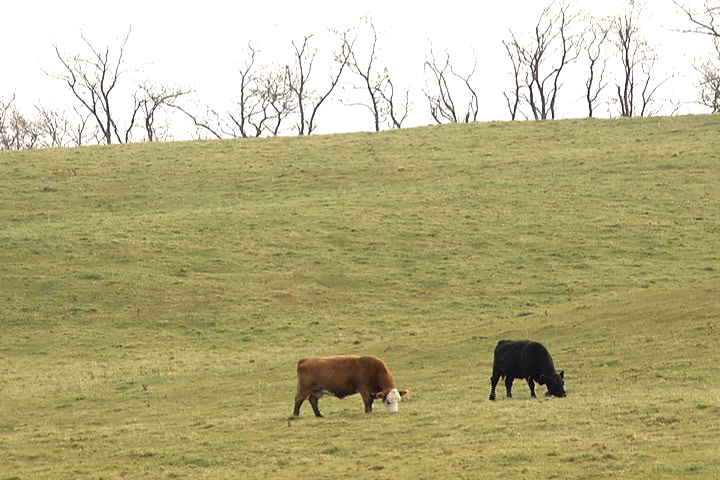 Only 10 percent of certificates were revoked because of a violation found on the farm. Many farmers complain that records don’t prove compliance. Terrien said if he had wanted to dupe the public, it would have been easy to break rules without getting caught, because inspections were so lenient. “I don’t see anything that… I couldn’t get away with,” he said. Because inspectors schedule visits in advance, farmers have time to hide prohibited substances, such as synthetic fertilizers. Farmers splitting their land between organic and non-organic crops could hide evidence of contamination from the organic portion. Annual inspections start when a farm becomes certified organic. 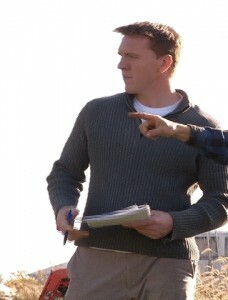 The inspector examines the farmer’s records and arranges a site inspection. Farmers have to keep all sales and purchase receipts so that the inspector can assess seed, fertilizer and pest management sources. If a field borders conventionally maintained land, farmers are expected to create 30-foot buffer zones to diminish pesticide drift. The Organic Food Production Act of 1990 requires certifying agencies to do random pesticide residue testing, but they seldom do it. Certifying agencies are responsible for the cost of these extra measures. Inspectors’ have to verify material sources, buffer zones between organic and non-organic acreage and perform an audit trail with the farmer’s records. Rice, the Iowa inspector, says the audit provides the most protection against fraud for consumers. He follows the paper trail backward from the day when a farmer sells his food product to the day the seed for that product was planted to see if farmers’ inputs and outputs match. The Inspector General, during its March 2010 audit, visited four certifying agencies and 20 organic operations. The inspector reported that all four agencies were inconsistent in the way they enforced organic regulations. For instance, in poultry production, an agency allowed one facility with 15,000 birds to have only 300 square feet for outdoor access while another agency required large pastures for a fewer number of birds to roam. Agencies also dealt with violations inconsistently. There was no uniform system for identifying severity of non-compliances, corrective action to be taken, and time allowed for correction, one allowing 90 days while others gave a year. When agency inspectors found violations, the program was slow to enforce corrective action. It took staff seven to 32 months to take action against four out of five organic operations. The other case still had not been closed at the time of the audit. In that case, an operation was marketing mint as an organic product even though the mint had been treated with a pesticide. It continued using the USDA organic seal for two years after inspectors discovered the violation. In addition, the organic program did not systematically process complaints from the public. It left unattended 19 of 41 complaints that organic operations had violated regulations for an average of three years. During the audit, the program staff implemented a new process, resolving over half the complaints. The audit, however, didn’t examine whether reliance on complaints is useful in catching fraud. In 2009, the program launched its “age of enforcement,” which is aimed at catching operations willfully violating organic law, but it did little about determining whether certified farms were upholding organic standards. Of the 16 civil penalties issued since January 2010, all but four were issued against non-certified farms operating as organic. While using the organic label without certification is illegal, the complaint process seldom helps police the 28,000 organic operations that USDA certifies. In 2010, the program got over 200 complaints – which is a typical number in a year – but the majority concerned the use of the term organic on packaging, not alleged malpractice on certified organic farms. “A lot of it is based on trust; trust but verify,” said Daniel Giacomini, the 2010 chairperson for the standards board and a nutrition specialist for organic dairies. Several studies comparing pesticide residue levels in organic and conventional food found that organic produce have about one-third the amount of pesticides. A small percent of organic food had high residue linked to fraud, according to a 2006 study. When asked about pesticide testing, Wills said his agency tests when they hear of an issue on one of their farms. “The staff and budget of each particular certifier will determine how often tests are done,” Wills said. In the March audit, none of the four inspected agencies, which certify 5,000 operations, had implemented testing. The cost varies anywhere from around $1,000 to more than $3,000 a field. Although Giacomini argues the normalcy of the broad range of issues facing the National Organic Program, he acknowledges that profit motive has bruised the reputation of the organic seal. Thank you very much for this very thought-provoking article. It is knowlwdge that everyone should have, especially those people who care about what they are eating. It is a stark reminder that there is a big difference between laws and guildines and actual enforcement. Without the latter, the former doesn’t necessarily mean much. Food that is organic cannot be insured if there is no inspection, or almost none. Thank you to Ms. Schill and Iowa Watch for informing us of the reality of the situation at present.